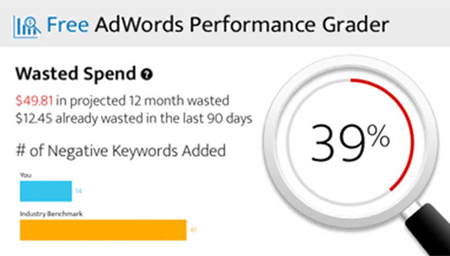 Improve the effectiveness of your campagins and save time with WordStream's keyword analysis tools. Discover new keywords and negatives quickly and easily. Dynamically analyze and manage keywords and queries in real time based on traffic and coversions. Get the most out of your efforts with workflow tools that will tell you everything from which Ad Group needs attention to which segmentation and landing page is likely to earn you the most money.